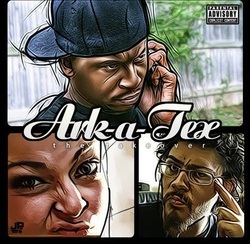 Right now the group has their first project Tha Takeova. Pushed in the streets and for free download online. The group is currently working on vol 2 to be out early 2011. As well as the solo mixtapes of each group memember. Each individual member has their own style which they bring to the mic to create this rush as the next power group! The members have worked with producers of all types and genres. Mista Mane and Crystyle both featured in the DALLAS GOT NEXT article in ozone magazine. JP defigz has worked with artist with years of graphic designz and producing this member does it all. Be on the lookout for this new super group and make sure to support the cause. So, what did you do on 4/20? Smoke out, caught a case of the munchies. Well whatever you did, you missed the release of Crystyle's first solo album 420 Wonderland was released and if your a smoker this album is for you. Even if your not a smoker, when you listen to this album it will make you fire up one. This album is just pure genius. From the trippy beats, to the other featured artists, to the lyrical ability that Crystyle shows on this album leaves you begging for more. 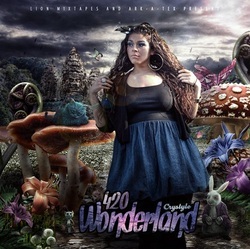 Download the album now at http://www.datpiff.com/Crystyle-420-Wonderland-mixtape.221517.html. The Takeover! Listen to Full Album Here.